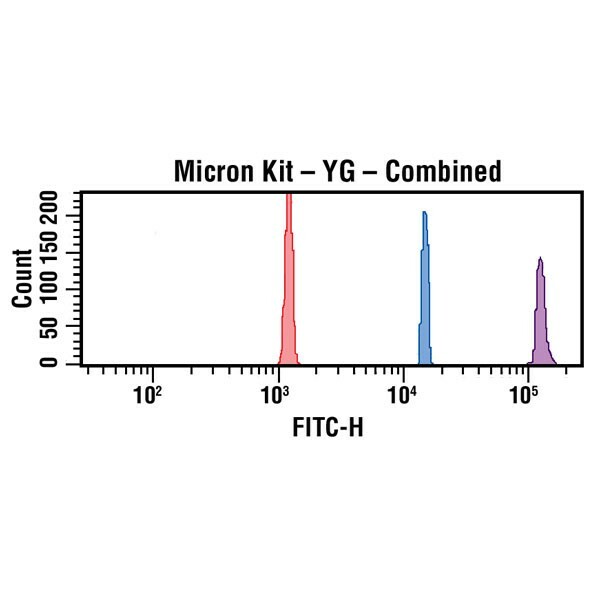 Micron Bead Calibration Kit (1.0µm, 3.0µm, 6.0µm) | Polysciences, Inc.
Current applications in flow cytometry extend far beyond traditional lymphocyte immunophenotyping, with some involving the analysis of very small particles such as platelet- and endothelial-derived microparticles or microbial species. Our Small Bead Calibration Kits allow operators to verify the resolution capabilities of the flow cytometer, and to establish appropriate instrument settings for the analyses. For more Flow Cytometry Resources, visit the Bangs Flow Blog.